John Hastings spent much of his life in Philadelphia, before relocating to California in 2000. He received a B.E.E. from Cornell University in 1945. From 1947-1972 John was President of Hastings & Co., Inc, Philadelphia, the largest gold leaf manufacturer in U. S. since the mid nineteenth century. 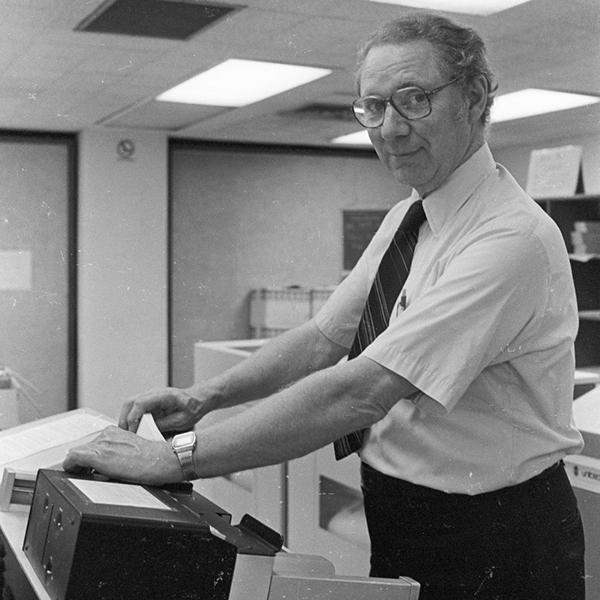 When he became a volunteer at the Penn Museum in 1979, he joined the Ban Chiang Project and spent three years entering data from the excavations into a mainframe computer database, using punch cards and an IBM computer. He became the project programmer and printed numerous summary reports. From 1982-2000 John also provided computer support for staff and researchers at the University of Pennsylvania Museum, including purchasing over 200 personal computers, instruction, troubleshooting, and networking. In the period 1991-1993 John undertook the major project to migrate the Ban Chiang database from mainframe card-image 9-track tapes to a PC database using the software Paradox. John subsequently migrated the Ban Chiang database again to Microsoft Access, and those data are the basis for the current relational database used by the Ban Chiang Project. It is with deep sadness that we announce the passing of our friend John Hastings in May of 2017 at age 92. For more information, click here.